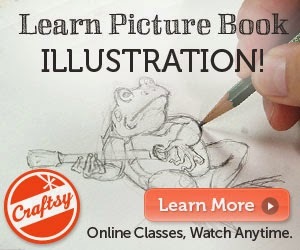 Since the time Eric's Craftsy Class (Picture Book Illustration) launched this past fall, he has had multiple requests from his students about his custom drawing board, which he designed and built himself. 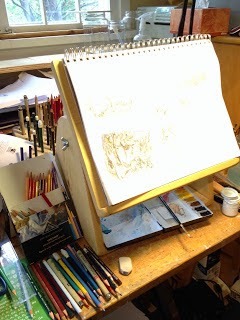 Over the last few weeks Eric has been working on written instructions for this clever stand, and we are happy to announce that the PDF is now available for purchase! 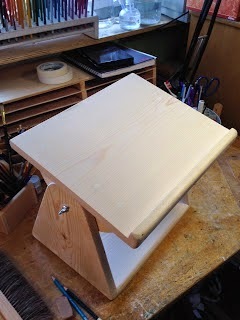 Visit the Craftsy site here to learn more about the instructions for Eric's Adjustable Drawing Board! Eric Johnson is such a talented artist. 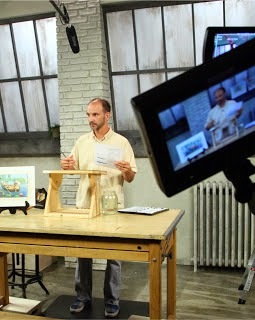 He has always been able to build/create anything! Happy to see him doing what he does best!